1. We will comply with the Personal Information Protection Law, ministry and agency guidelines, and other related laws and regulations in order to protect user information. 1. In conducting our business, we will acquire the following personal information ("Personal Information" as defined by Article 2, Paragraph 1 of the Personal Information Protection Act, the same shall apply hereinafter) from the user. ④ Information on communication terminals, and information obtained through cookies. We will acquire information on users' communication terminals and information obtained through cookies (including web beacon, UID and other technologies). We will acquire the following information from users' communication terminals and cookies. This information is handled as personal information of users only when the user logs in with the user's account. • Information on displayed or retrieved goods/services. Users can invalidate cookies according to user browser settings, but in this case, they may not be able to receive some of the services provided by the Company. 2. We do not currently generate anonymous processing information. When the Company generates anonymous processing information and provides it to a third party, we separately prepare "anonymous processing information handling rules", and comply therewith. 1. We use personal information for the following purposes. ⑦ Shipping of products, etc. 2. The Company may change the purpose of use set forth in the preceding paragraph to the extent reasonably understood to be relevant to the purpose of use before the change, and if changed, shall notify or announce this to the users in the way separately determined by the Company. In addition to the statements in this policy, we will never provide personal information to third parties unless permitted by the Personal Information Protection Act or other laws and regulations. 1. We may occasionally share personal information of users with our affiliates to the extent specified below. 2. We may occasionally share personal information of users with affiliated media companies to the extent specified below. 3. We may occasionally share personal information of users with point service partner companies to the extent specified below. To provide point services to users. 1. When providing personal information through our website, we use an industry standard cryptosystem called Secure Sockets Layer (SSL) to protect personal information from unauthorized access by third parties, and encrypt it. In addition, we take measures to ensure the security of personal information, such as the introduction of security software to prevent unauthorized access from outside. 2. We will place a person in charge of personal information in the department responsible for managing personal information, and we will implement appropriate and continuous management of personal information and improvement of such management. 1. The user can request disclosure of personal information provided by the user to the Company in accordance with the procedure specified below. ① Inputting necessary information on a prescribed form on our website and sending it, or mailing a request after enclosing documents necessary for identity verification (in case of application by an agent, verification that the agent is a suitable representative), to the reception desk stated in Article 10. In the case of written application, a fee of 1000 yen will be charged for each application. ② If an identity verification is made pertaining to the request under the preceding item, we will disclose personal information within a reasonable extent. However, if the Company is not obligated to disclose information due to the Personal Information Protection Law or other laws, or when the same request is repeated many times without justifiable reason, this may not apply. 2. If the content of the personal information on the user possessed by the Company is different from the facts, the user may request correction, addition or deletion in accordance with the procedure specified below. ① Inputting necessary information on a prescribed form on our website and sending it, or mailing a request, after enclosing documents necessary for identity verification (in case of application by an agent, verification that the agent is a suitable representative), to the reception desk stated in Article 10. ② If an identity verification is made pertaining to the request under the preceding item, the Company shall undertake a survey without delay within a reasonable extent, and correct, add or delete personal information based on the result. However, if the Company is not so obligated due to the Personal Information Protection Law or other laws, when the same request is repeated many times without justifiable reason, or when it requires excessive technical work, this may not apply. We will erase the personal information of the user acquired by the Company without delay in case it is no longer necessary to use such information in the light of the Company's usual business management. 1. We will review the laws and guidelines concerning the handling of user information and the status of operation as necessary, and will continue to improve and occasionally revise this policy from time to time. 2. Regarding this revised policy, this will be posted on our service or on our website, or announced by another easy-to-understand method, from which time the revised policy will apply. 3. Notwithstanding the preceding paragraph, when making changes to contents that require the consent of the user under the law, we will obtain the user's consent by another method specified separately by the Company. For any opinions regarding handling of user information by the Company, questions, complaints or other enquiries concerning the handling of personal information, please contact the reception desk below. For e-mail enquiries, it may take about 10 days to answer. 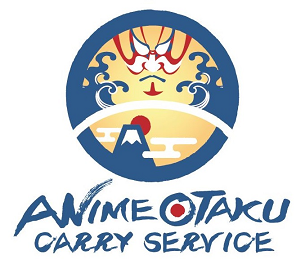 Anime Otaku Carry Service Co., Ltd.
What is AOCS proxy purchase service? AOCS will purchase items from doujinshi online shops from Japan for you and send them to your country. © Copyright 2019 AnimeOtakuCarryService Inc.